Is collagen the answer to staying young? Collagen is one of the most abundant proteins in the body. It makes up over 70% of skin proteins and over 30% in the body as a whole. 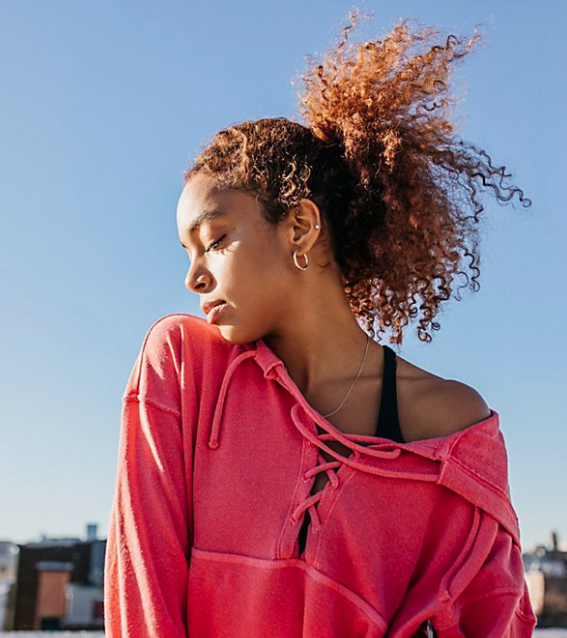 It’s responsible for giving skin its elasticity, hair it’s strength, and connective tissues their ability to hold the body together. Without it, we would be saggy and baggy! Sound like old age? Yup! Our body’s ability to produce collagen declines sharply after age 30. Hence the brittling of our hair and the wrinkling of our skin. The same thing happens on the inside: our bone density declines and our connective tissues weaken. When the skinless-boneless-white-meat-revolution hit us, our collagen consumption plummeted since we removed collagen-rich red meat and meat broths from our diets. And with the addition of highly processed sugary foods, intensifying sun exposure and (for some) cigarette smoking, our collective collagen level is in steep decline. Ladies, this is a problem. Collagen is essential in helping us stay young (as in, avoid arthritis and the de-plumping of our skin) as we age. Luckily, we can help ourselves out! Taking collagen internally has proven in new studies to promote healthier skin and bones. There are some competing studies and the facts are new, but I can tell you from my own experience that I’m pretty sure this stuff works! Studies have shown that compared to a placebo, people who took collagen showed a 20% reduction in wrinkle depth and a lessening of arthritic joint pain after 8 weeks. 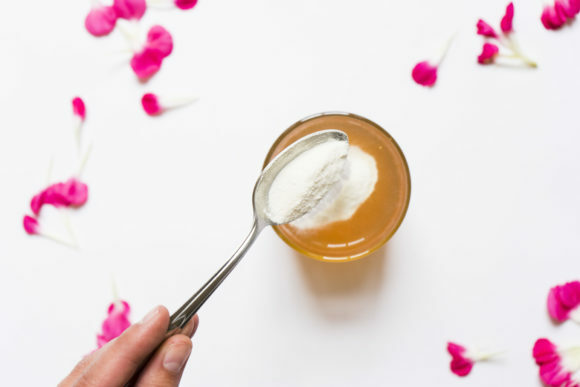 You can easily get collagen in pill form, or add it in powder form to your tea, smoothie or yogurt (or kombucha, as I do!). It’s tasteless and water soluble so you can pretty much add it to anything you can think of. 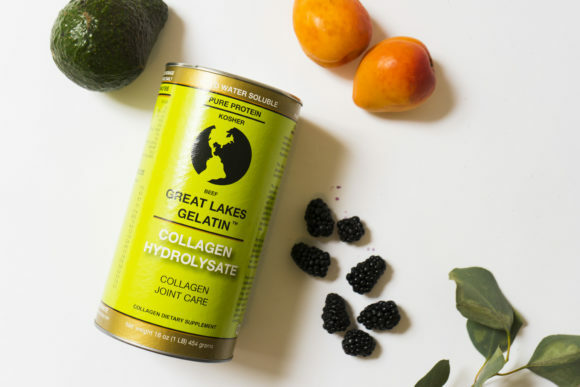 Be sure to get hydrolysate: collagen peptides (individual peptide chains) which are easily digestible and not collagen protein (or gelatin) which will gel and is much more difficult to digest. Rich meat and bone broths don’t work in exactly the same way although they are certainly a healthy addition to your diet if you are an omnivore; long live the grass-fed broth fad! Topically, collagen fails us. 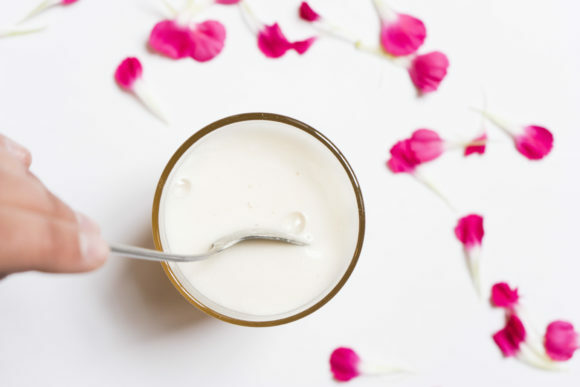 It’s touted on many lotions and creams to plump skin and reduce wrinkles, but unfortunately collagen molecules are too large to be absorbed through the dermis. Consider this your PSA, don’t fall for it! Since they are not classified as drugs, over the counter lotions do not have to be proven to work scientifically and believe me, these don’t. If you’re looking for a wrinkle-fighting cream, stick with the tested and proven retinoic acid lotions (which stimulate collagen production in the skin thereby fighting wrinkles). Or, age gracefully! We will never fully eliminate wrinkles and other aging effects, so continuing with the time-honored healthy diet, lots of water, vigorous exercise and a few natural and organic dietary additions is the best way to stay young while aging. Shine on, ladies, I’ll see you next week. 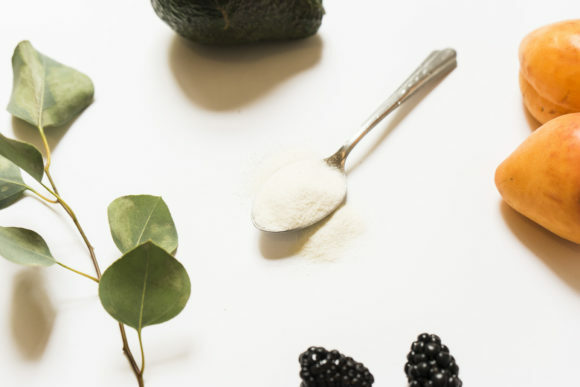 +Have you tried incorporating Collagen into your diet? Let us know in the comments below! I have joint pain from years of running but i refuse to take steroids. I think i’m going to try this. Thanks! Of the two brands displayed above in the photos, do you prefer one over the other? Interesting post! Since it is found out that as we grow natural collagen content in our body decreases, thus external intake of the supplement is must to maintain its balance in our body. My mother recently had started consuming collagen supplement by http://www.imageskincare.com/by-collection/yana-daily-collagen.html on the recommendation of my aunt for its anti aging effect and to reduce her joint pain. The supplements seem to work well for her.